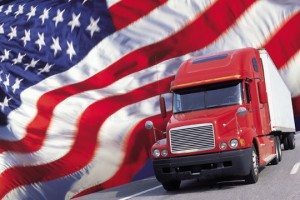 Progressive Truck Driving School honors and supports our former service men and women. It is a known fact that individuals with military experience have cultivated the tools necessary to reach high levels of success in the truck driving industry. Your hard work, discipline, focus, and organizational skills will bring you to the top-paying employers. Through our prestigious training program, we will further enhance your experience and talents and place you in front of the very best local and national trucking companies. Tuition assistance programs are available to former service members that can help cover the cost of CDL training. Please call us with any questions you may have. We are here to help you achieve your career goals and reach success. Our Admission Advisors will guide you along as you begin a journey on the open road! WIA reforms federal job training programs and creates a new, comprehensive workforce investment system. The reformed system is intended to be customer-focused, to help Americans access the tools they need to manage their careers through information and high quality services, and to help U.S. companies find skilled workers. To learn more about WIA visit the Workforce Training Board website.